From 2004-2012 Palsang worked voluntarily as a Nepal Representative for the NGO Sathsathai, Netherlands. The objectives of Sathsathai were to improve living standards and economic condition of the people in 7 VDCs in the Timal area of Kavrepalanchok District, i,e for about 36000 people. The project worked to provide electricity, toilets, library, Education for Adult women, improved cooking stoves, and micro finance. Palsang worked as the Public Relation Officer and Social Activist for the project. After the establishment of Himalayan Vacation Treks and Expedition Pvt. Ltd in 2008, as an MD of the company, he decided to contribute 3% of its net profit for social welfare every year. At the moment he is the Vice-President of Sathsathai Bikas Nepal (SaBiNe) which has been funded previously by the Netherlands’ NGO; This agreement finished in 2012. Now, SaBiNe is looking for new sponsors/donors. Palsang is still much interested in providing such social work in partnership with NGOs. So, anyone or an NGO has interest, please they are heartily welcome to contact him or to contribute/donate through the Himalayan Vacation Treks and Expedition . 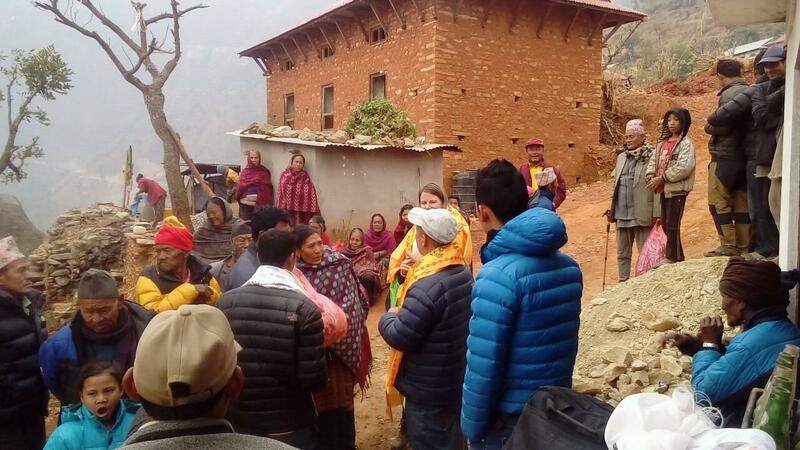 After the terrible earthquake of 2015, Palsang was involved in distributing relief materials to victims. He lost relatives and fellow villagers in the earthquake. He solicited donations from his contacts worldwide and distributed relief materials in the Timal, where he has been active for a long time with the welfare, education, health and agriculture of the villagers.